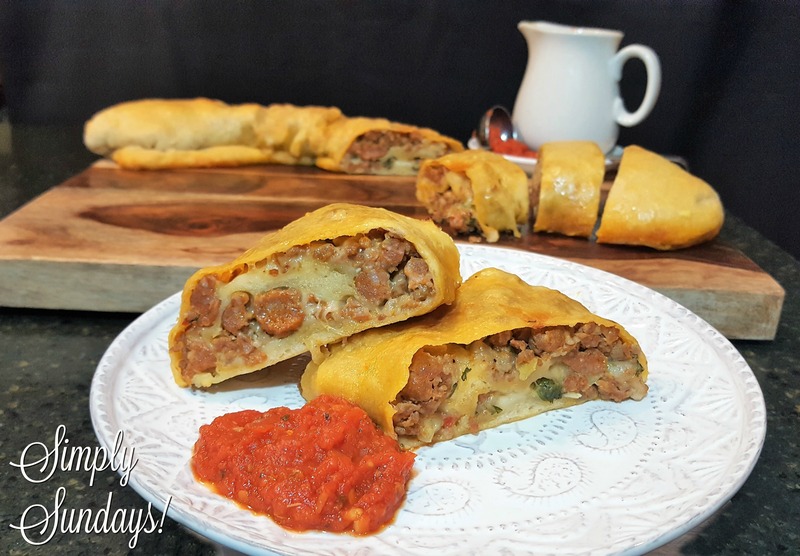 Sausage Bread – Simply Sundays! There’s no doubt why… sausage, cheese and onions wrapped up in a delicious dough?? Ok, enough chat. Let’s make this! A note about the sausage: Mary always made this with sweet sausage, but we’re spicy people so I use hot. This is your preference… you can use either or a mix which would be super tasty as well! So we have a little free time whilst the meat cooks. Should we check Instagram? Call a friend? Heck no! We’re cooking here! SO making this this weekend! cant wait!